A: A pre-pharmacy student is a student who is taking the courses necessary to be considered for admission to the BS Pharmacology & Toxicology program or the professional Doctor of Pharmacy program at the UW-Madison School of Pharmacy. At UW-Madison, pre-pharmacy is not a major, it is an intention. A: At UW-Madison, no specific requirements or applications are needed to pursue a pre-Pharmacology-Toxicology path. Pre-Pharmacology-Toxicology students can receive academic advising through our structured pre-pharmacy advising program. Most UW-Madison students who are pursuing pre-pharmacy plans are admitted to the College of Letters & Science. Our pre-pharmacy advisor is available to meet with admitted UW-Madison students (incoming freshman) at the student orientation, advising and registration (SOAR) program. Students at other colleges and universities receive academic advising from the designated pre-pharmacy or pre-health/professional advisors at their campus, but are strongly encouraged to initiate and maintain contact with pre-pharmacy/admissions advising staff at our School of Pharmacy. Pre-pharmacy advisors are available to meet with prospective high school students, transfer students, and returning adult students. Q: How can I get more information about your program and/or when can I meet with an academic advisor? A: All prospective students (high school students, transfer students, returning adult students, and UW-Madison students) are encouraged to meet with our Pre-Pharmacy advisor to learn more about the BS in Pharmacology-Toxicology program, requirements, career opportunities, curricula, admission criteria, and application procedures. Please contact our Student & Academic Affairs Office to set up an advising appointment at 608-262-6234. Q: Can I be admitted to the BS in Pharmacology-Toxicology directly upon graduating from high school? A: No. Students interested in the Pharmacology-Toxicology program must complete the prerequisite course requirements (60 college credits), which can typically be completed in two years, depending on mathematics placement in college and personal academic choices. Completion of prerequisite coursework does not guarantee admission to the Pharmacology-Toxicology program. Applicants must complete the application to the School of Pharmacy in the spring semester preceding the fall semester in which you intend to begin the program. The annual application deadline is typically February 1 for Fall semester admission. Q: What are the required Pharm-Tox prerequisite courses? A: The Pharmacology-Toxicology prerequisite course work has been carefully selected to give you the foundation needed for success in the program. Q: If I am not a current UW-Madison student (I am a transfer student), how do I apply to the BS in Pharmacology-Toxicology program? Secondly, you must complete the UW-Madison School of Pharmacy Pharmacology-Toxicology application. Please keep the School of Pharmacy Admissions Team updated in regards to the status of your UW-Madison undergraduate admission by contacting us at apply@pharmacy.wisc.edu or 608-262-6234. Q: What are my career opportunities after I graduate with my bachelor’s degree in Pharmacology-Toxicology? A: The Pharm-Tox program is a unique bachelor’s degree program. Students completing the program will be well qualified to pursue entry-level scientific career employment in industry (e.g. biomedical; biotechnology; consumer products; contract research organizations; regulatory affairs; pharmaceutical), in academic basic science and clinical research laboratories, or in various agencies of government focused on science, health, or the environment. This program can also uniquely launch students into graduate school or a professional program such as law school, med school, dentistry, veterinary medicine, and the PharmD program. Q: Does the BS Pharmacology-Toxicology program allow me to practice as a licensed pharmacist? A: No. Graduating from the BS Pharmacology-Toxicology program (Pharm-Tox) does not allow you to practice as a licensed pharmacist. The Doctor of Pharmacy program (PharmD) prepares students to practice and work as a licensed pharmacist upon graduation/passing the NAPLEX exam. If you wish to eventually study in our PharmD program, it is NOT necessary for you to enter the Pharmacology-Toxicology program. Q: How many students are admitted to the BS Pharmacology-Toxicology Program each year? A: The BS Pharmacology & Toxicology program has the capacity to admit approximately 25 new students each year. Q: Is preference for admission given to students who complete their prerequisite coursework at UW-Madison? Q: What GPA do you require for admission? A: For the BS Pharm-Tox program, a cumulative GPA of 3.00 or 3.20 over the most recent 60 semester credits is required. We encourage students to aim for grades of B or better in all math/science prerequisite coursework. Students are strongly encouraged to repeat any of these courses in which a grade of C or below was earned. Grades in repeated courses will be averaged with all other coursework, meaning that the repeated grade does NOT replace the original grade earned in the course. A: Grades earned for all college-level courses at any previously attended college/university (even if they are not related to pre-pharmacy coursework) are averaged together to determine a cumulative GPA. Q: Do you have a rolling admissions process for the BS Pharmacology-Toxicology program? A: No. We do not participate in rolling admissions for the BS Pharmacology-Toxicology program. The application deadline is typically February 1st. All application materials must be submitted by the deadline. Q: What are the application procedures? A: No, research is not required. If you are looking to enhance your application and gain some research experience, it is encouraged, but is not required. Q: Who should I ask to write my letters of recommendation? A: Two recommendations are required. They must be professional references (not a friend or peer). It is desirable that the recommendation letters come from a college course professor/instructor/TA or from a laboratory mentor. If you have at least 2 semesters of lab experience, we strongly encourage you to submit a letter of recommendation from your laboratory mentor. It is very important that the recommenders be people who can provide substantive comments about you. At least one of the recommendations must be from a person who has had knowledge of and contact with you within the 12 months preceding the priority application deadline. The recommender MUST submit their letter on our provided form. You must mark and sign the right-of-access waiver statements on each School of Pharmacy form before giving the form to the recommender; the lack of such certification will render the form unacceptable. Q: Do you accept out of state students? A: Yes, nonresident students are eligible for admission. A: Yes. International students need to complete all prerequisite coursework. All international coursework must be evaluated by ECE or WES evaluation services. Q: If I am not admitted to the BS Pharmacology-Toxicology program, may I reapply the following year? A: Students are welcome and encouraged to reapply. All application cycles are self-contained, meaning that you would need to resubmit all application materials for consideration for the next year. If you are not admitted, please consider making at appointment with us to discuss contributing factors that may have led to your not being accepted. We can discuss areas which Admissions Committee members felt needed improvement and offer suggestions for how to strengthen your application in subsequent years. Q: Will I lose any credits (from my university) if I decide to transfer to UW-Madison to complete my prerequisite course requirements for the Pharm-Tox program? A: In general, credits earned at most accredited colleges and universities will transfer. Some courses from technical colleges and skills courses do not transfer to the School of Pharmacy. Retroactive foreign language credits transfer only if awarded in accordance with UW-Madison policies. Retroactive credits for math courses do not transfer. Credits awarded by a college for its own placement tests do not transfer. Q: What high school courses will prepare me for the BS Pharmacology-Toxicology prerequisite courses in college? A: High school preparation should include four years each of English (including grammar and composition), mathematics, and science (including biology, chemistry, and math based physics). In addition, courses which improve communication skills (including speech) are helpful. Some universities, including UW-Madison, require foreign language for admission. Advanced Placement (AP), International Baccalaureate (IB), accelerated, and honors courses also good choices that, in general, prepare you for college. A: We recommend that sequence courses (General Biology, General Chemistry, Organic Chemistry) be completed at one institution. You may take your prerequisites at different schools; however, you need to be careful to plan accordingly. If you begin a science series at one school and finish at another, it is possible that all of the required components of the course descriptions may not be met adequately. If you have questions about course sequence completion, please contact our Pre-School of Pharmacy advising staff. Q: Do all Pharm-Tox prerequisites need to be completed at the time of application? A: No. Pharm-Tox prerequisites can be “in progress” at the time of application, but need to be completed by the time of entrance into the BS Pharmacology-Toxicology program (Fall). Students may use the summer prior to enrollment to complete required work. Please note, however, that applicants who will not have completed calculus and/or first semester organic chemistry by the end of the fall term during which they are applying may be at a disadvantage for admission. A: Maybe. If you need to take an online prerequisite course, please contact us. Each course will be evaluated on a case-by-case basis. Please contact the Admissions Team to discuss your situation at apply@pharmacy.wisc.edu. Q: Is there a foreign language requirement for the UW-Madison School of Pharmacy? A: There is a UW-Madison campus wide undergraduate foreign language admission requirement. UW-Madison pre-pharmacy students are subject to this requirement as are BS Pharmacology & Toxicology students. The UW-Madison admission requirement consists of two years of one foreign language in high school, or two semesters of one foreign language in college, or one year of foreign language in high school and one semester of the same language in college. Q: Do I need to complete the BS Pharmacology-Toxicology program graduation requirements (physics II with lab, communication B, ethnic studies, and humanities) prior to my enrollment in the program? A: No. Students are encouraged to take these courses prior to enrollment in the School of Pharmacy if they have time and space. If these requirements are not met prior to enrollment, students will be required to complete these courses prior to graduation from the Pharm-Tox program. Q: What are the humanities and which courses satisfy humanities requirements? A: Humanities is an area of study concerned with human beings and their values and achievements. Humanities include philosophy, literature, music, dance, theatre, ancient and medieval history, and courses in the fine arts. The School of Pharmacy also counts foreign language courses as humanities. Q: What courses satisfy the ethnic (diversity) studies graduation requirement for the BS Pharmacology-Toxicology program? Q: Does your School of Pharmacy accept AP and IB scores? A: Current UW-Madison students who are applying to the Pharm-Tox program: Credit will be granted according to UW-Madison “credit by exam” policies. For more information on these policies, please visit the credit by exam policies page. Q: Are there courses I can take to help lighten my Pharm-Tox credit load? 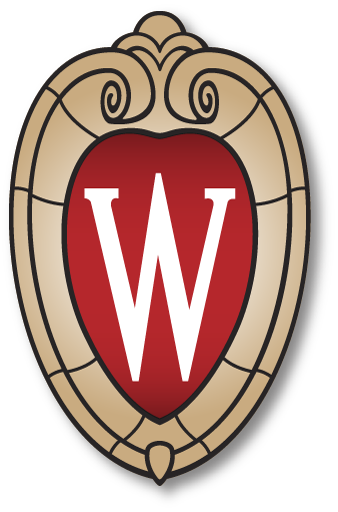 A: School of Pharmacy faculty expended considerable effort to design the curriculum to be a coherent, sequential whole, with all courses being completed at UW-Madison. To provide an optimal educational experience for students, it has been decided that all courses specifically required in the Pharm-Tox curriculum must be completed at UW-Madison. Students who are completing their prerequisites at UW-Madison are welcome to complete the graduation requirements before they enroll in the Pharm-Tox program as well as statistics, physiology 335, pathology 404, and genetics 466, if your schedule allows. Please meet with your UW-Madison pre-pharmacy advisor to discuss your schedule. Q: What is the tuition for the BS Pharmacology-Toxicology Program? A: For information regarding BS Pharmacology & Toxicology tuition, see the Pharmacology & Toxicology tuition page. A: For information regarding financial assistance for BS Pharmacology & Toxicology students, see the Pharmacology & Toxicology financial aid page. A: Yes! Thanks to the generosity of alumni, friends and various organizations/ corporations, the University of Wisconsin-Madison School of Pharmacy is able to award more than 100 scholarships every year for all of our program. Read more about School of Pharmacy scholarship opportunities on the scholarships page. Q: If admitted to the BS Pharmacology-Toxicology program, can I take courses in the evening and/or on a part-time basis? A: No. Our program is designed for full-time students with the vast majority of courses (including all required courses) occurring between 8 AM and 6 PM. Q: How long is the Pharm-Tox program? A: The Pharm-Tox program is a full-time, two-year program.